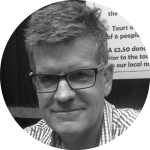 The authors are all members of Loughborough University Centre for Research in Communication and Culture which has been analysing media coverage of elections and referenda since 1992. 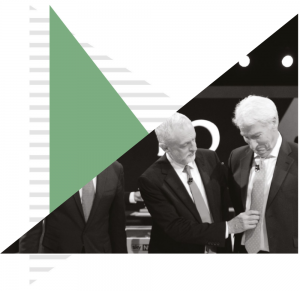 The battle for control of the media agenda is a defining characteristic of modern election campaigns to the extent that some argue they can have a pivotal influence in determining their eventual outcome. Conscious of this factor Labour’s John McDonnell has claimed his party ‘reinvented word-of-mouth as a form of political communication’ to counter its many critics, particularly in the press, during the 2017 campaign. And although social media platforms have been invaluable in disseminating information, especially to younger audiences, print and TV still provide millions of voters with their main source of election news. As such, it is important to provide a critical assessment of the performance of these outlets in order to understand the nature of the campaign coverage available to citizens in the run-up to polling day. Can such analysis help account for the extraordinary result the country woke up to on 9th June? The Centre for Research in Communication and Culture conducted an audit of election news from 5th May to 7th June. We analysed the main weekday output of five TV bulletins and ten national newspapers (see our blog for more details). Our research focused on the relative prominence of rival parties and politicians, the issue agenda, and the evaluative direction of coverage found in the press. Figure 1 demonstrates the striking contrast between the 2015 and 2017 campaigns. Two years ago, the Lib Dems, SNP and UKIP featured prominently. 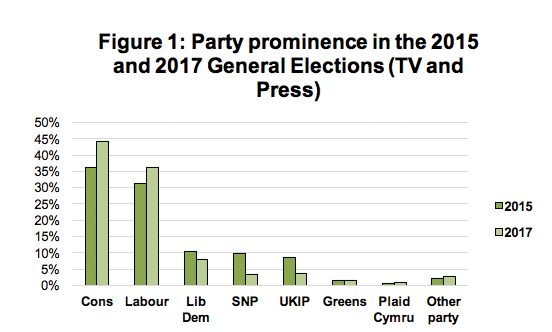 By contrast, the 2017 campaign saw a ‘two-party squeeze’ whereby the Conservatives and Labour both received more coverage on TV and in the press than in the last election (a combined 84% of appearances in the press and 67% on TV). The respective major party leaders dominated news coverage. 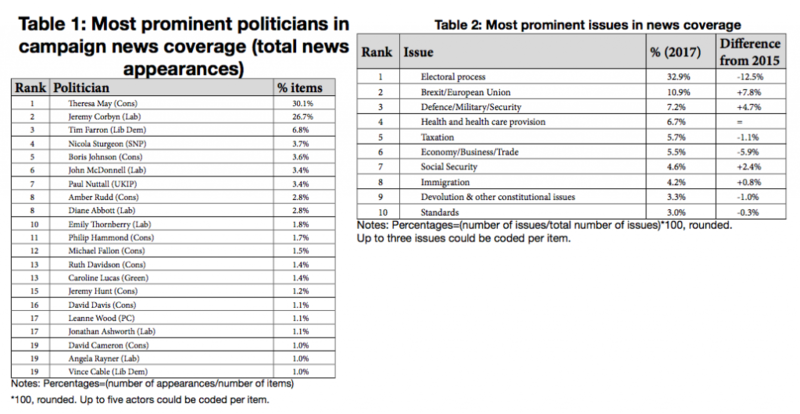 Table 1 confirms that Theresa May was the most prominent politician (appearing in approximately 3 out of every 10 news items), while Jeremy Corbyn was second (featuring in roughly 1 in 4 items). In combination, May and Corbyn accounted for over a third of all appearances by actors during the campaign. Other party leaders and politicians appeared with far less frequency: this was a highly presidential campaign focusing overwhelmingly on the two candidates for the premiership. In terms of the issue agenda, ‘process’ coverage (i.e. a focus on the ‘horse race’, party strategies, polling, and so on) dominated the campaign – as it traditionally does. However, as Table 2 shows, this was markedly down on its equivalent share in the 2015 campaign. Brexit/European Union was the most prominent substantive issue, but the focus on this topic was intermittent, and its dominance of the policy debate fell away during the election. In its place subjects like Health, Social Security and Defence/Security came to the fore at key moments. This was largely unfavourable to the Conservatives in terms of their attempts to control the campaign agenda given that issues that have traditionally favoured the party (e.g. Economy, Immigration) were relatively marginalised. While UK broadcasters are legally compelled to be impartial, the British press are (in)famously partisan. Consequently, we evaluated how positive or negative newspaper coverage was towards the various parties, weighted by the respective circulation figures of the ten daily titles in the sample. 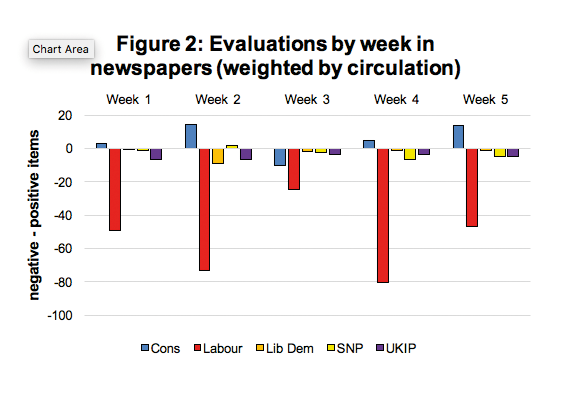 Figure 2 demonstrates that the Labour Party received the overwhelming majority of negative evaluations published by the press, largely due to the hostile coverage provided by higher circulation papers such as the Sun, the Daily Telegraph and the Daily Mail. Newspaper treatment of the Conservatives was broadly more sympathetic but not consistently: during the third week of the campaign, for instance, coverage of the party was more negative than positive, and negativity towards Labour was at its weakest. This was the period in which the Conservatives launched their manifesto and subsequently made a U-turn on what became known as the ‘dementia tax’. Although the party subsequently saw improvements in its evaluations by the press, newspaper coverage was mainly characterised by its negativity towards Labour and party leader Jeremy Corbyn. Ultimately, however, this formidable advantage did not help the Prime Minister realise her ambition to win an enhanced parliamentary majority and mandate to negotiate Brexit. Theresa May’s claim that anything other than a vote for her would result in a ‘coalition of chaos’ has come back to haunt her and embarrass once loyal followers among the ‘Tory press’.